Rhys Evans is a graphic designer from Sheffield specialising in printing and more specifically silk-screen printing. When working on the logo the main goal was to create a mark similar to what the masters of old would use to stamp or sign their work. This is where the initial research began, studying monograms and eventually coming to this solution composing the R and E merged into a single symbol. The font used as a base is Bodoni – a modern font that speaks of attention to detail and has a beautiful contrast. 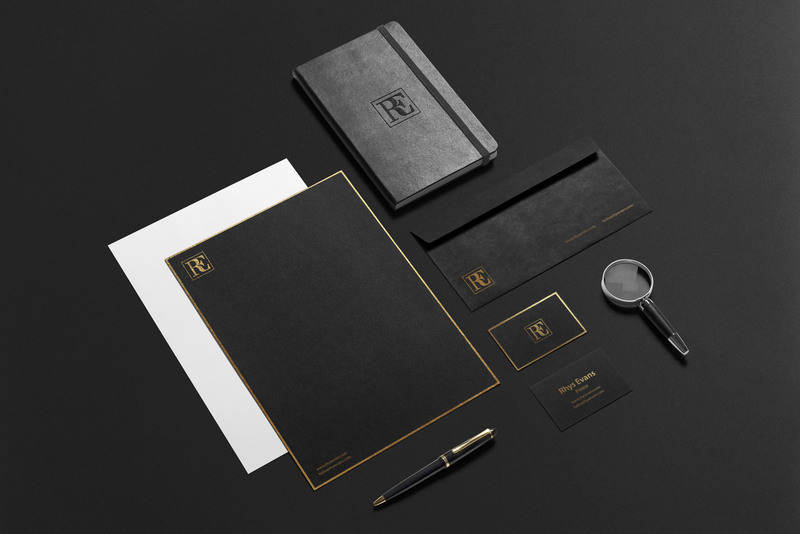 The main theme with Rhys’ branding is to show exclusivity, high quality and precision. The gold colour highlights the premium level of service provided. Simplicity is key to let the logo stand out.